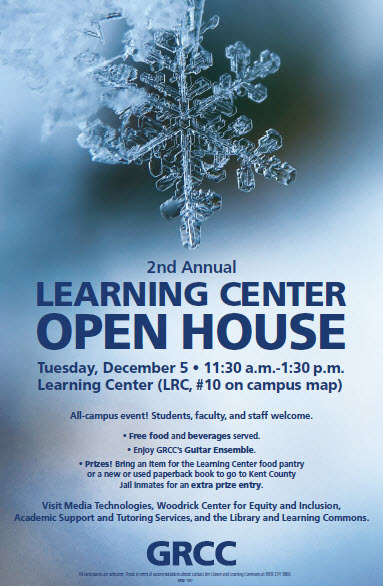 Students, faculty & staff are invited to the 2nd Annual Learning Center Open House, on Tuesday, December 5 from 11:30-1:30. 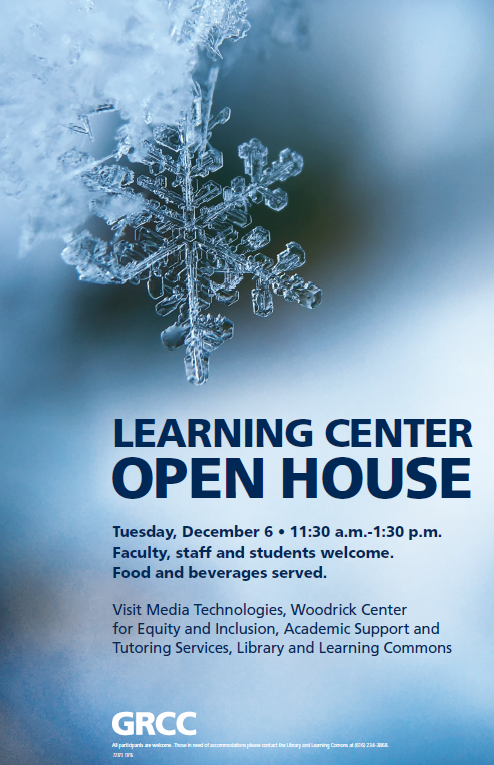 Light food, beverages, goodies, and entertainment will be offered in the Library, the Woodrick Center for Equity & Inclusion, and Media Technologies – plus – upstairs in Academic Support & Tutoring Services. Visit each space for a chance to win prizes. Receive an extra entry for prizes if you donate items to the Learning Center Food Pantry – OR – if you donate a new or used paperback for avid readers at the Kent County Jail.